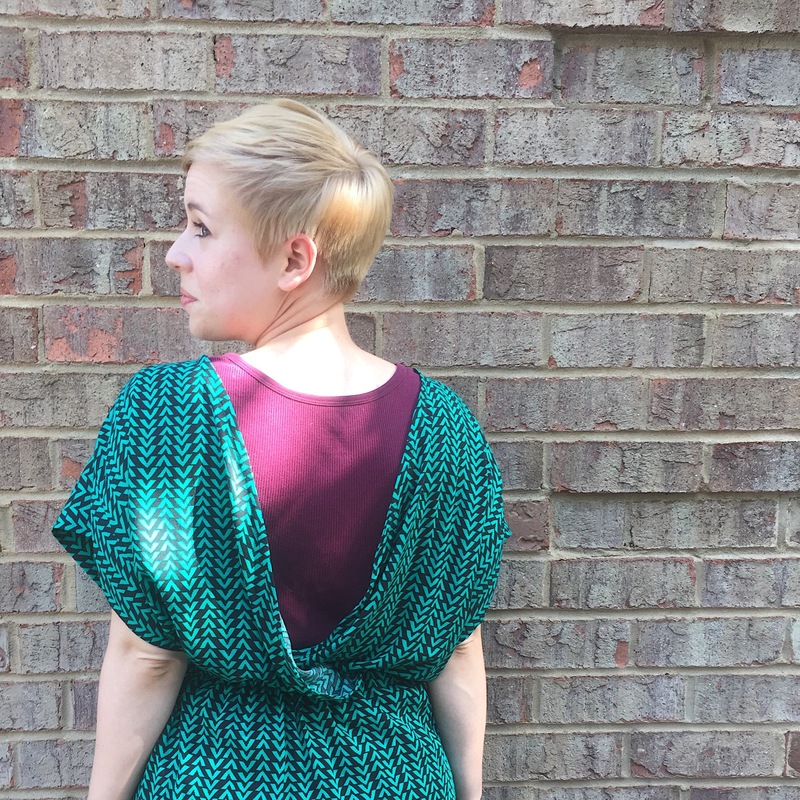 The next pattern on my list for the #SewMyStyle project is the Bridgetown Backless Dress from Sew House Seven. I absolutely love their Toaster Sweater, so I was very excited to be using another one of their patterns. This pattern is actually the April project for Sew My Style, but sewing had to take a backseat for awhile. I emotionally and mentally did not feel up to the challenge, but this past week I finally sat back down in front of my sewing machine. 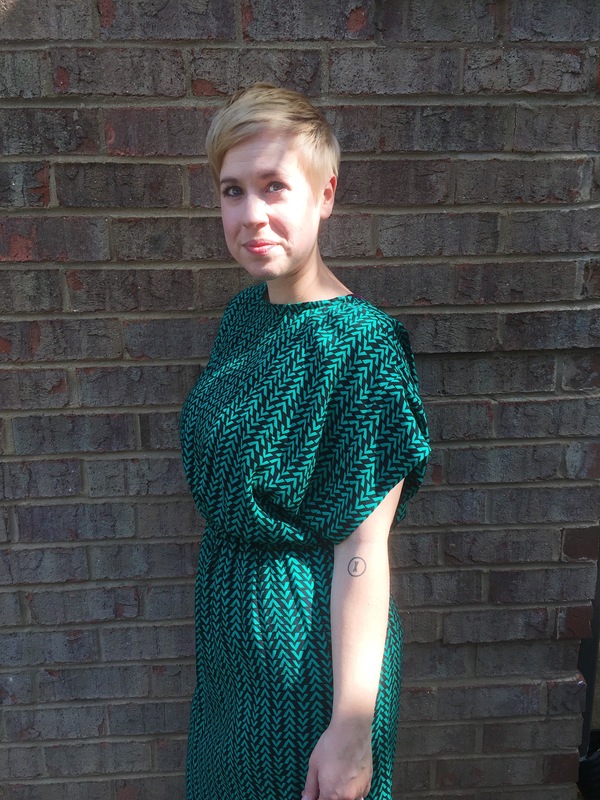 The Bridgetown Backless Dress was, for me, the perfect pattern to get me back into sewing. I bought my fabric so long ago, I can’t remember where I purchased it. I believe I got it from either Fabric.com or Girl Charlee Fabrics. When I was originally planning to make the dress back in April I was in a hurry and purchased the elastic from Amazon. I got it in two days… and then took almost 5 months to make the dress. Amazon is great for items you need quickly though. Two weeks ago I tried to get back into sewing. I finally pulled the fabric out and decided to trace the pattern and cut out the fabric. I got it done in one evening, but then my sewing spark dwindled for another week. This past Wednesday I finally sat down and just started sewing. I usually take three to four evenings to finish a project, so I was completely shocked when I finished this one in two evenings. I used to sew based on how much time I had each evening, but this week I decided to give myself goals for how far along I wanted to be on the project before I went to bed each night. This worked so much better for me. And finishing as quickly as I did gave me more confidence. I loved everything about sewing this dress. Nothing overwhelmed me. Not to say it wasn’t challenging at times, but I never wanted to walk away from it. I made the bodice the first evening, sewing the front and back at the shoulder seams and finishing the neckline. The second evening I did the sleeves and skirt. These are my favorite kind of sleeves, the ones you sew in before you sew the side seams. I get giddy when I get to sew sleeves this way. The part that got a little tricky for me was sewing in the elastic. You make the elastic tunnel by stitching the seam allowance down. I kept reading the instructions over and over and could not wrap my head around how it was going to work. Then I finally noticed the seam allowance was to be 1″. I sewed the seam allowance down and the elastic went right through! Usually when I’m sewing I always leave hemming for last, even when the instructions say to do it earlier. This time I decided to follow the instructions and I’m thankful I did. Once I got the elastic in the dress I was finished. Everything else had been completed and I could just enjoy the dress. I’m thankful to be sewing and creating again. I have a plan to complete all of my Sew My Style projects this year even though I’m behind. I set a goal for 2017 and I’m going to keep it. 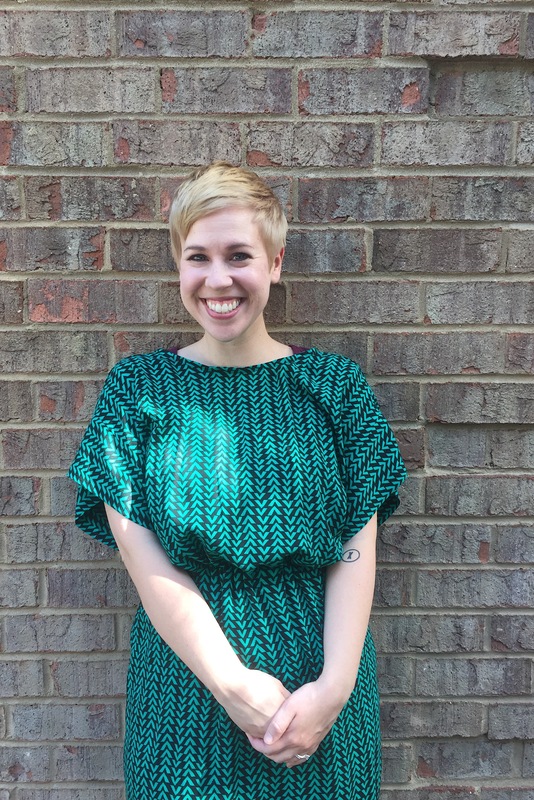 Next up will be Megan Nielsen’s Darling Ranges Dress. Did you get another tattoo? I did :). Back in January.